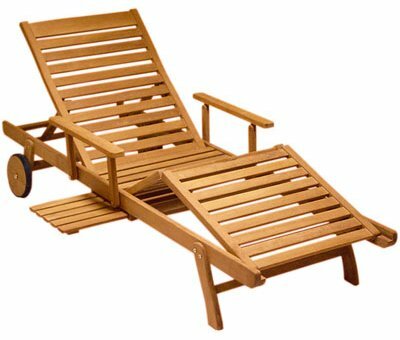 The Hampton Teak Chaise Lounger is not only comfortable, it's very convenient! 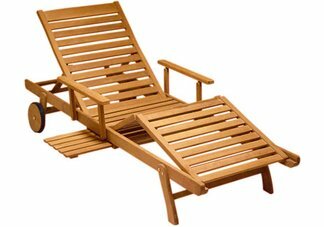 The arms and back of this teak chaise are adjustable and will fold down if you should desire. 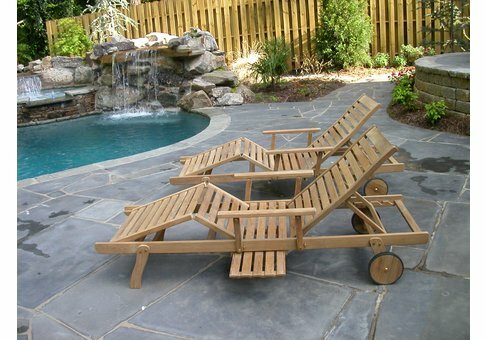 The rubber wheels make it easy to move so that you can be sure that you are facing the sun at the right angle! Finally, the teak drink tray slides under the chair if you are finished with your beverage.